This townhouse is a nice compromise located in a country area , but a quick, easy commute to anywhere in the Des Moines Metro area. 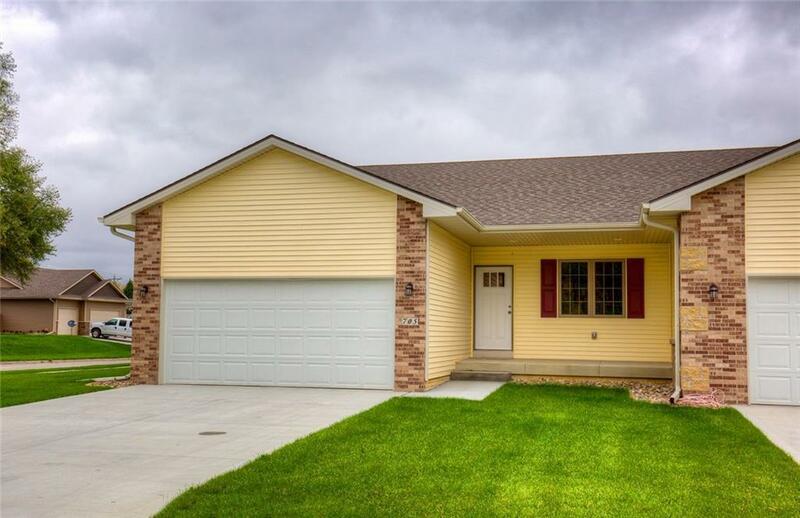 Its ranch style, 2 bedroom and 2 bath, nearly 1500 sq ft on the main floor of this end unit. Stylish grey colors in the roomy kitchen with adjacent dinning area. Stainless appliances are included. Master bedroom has walk-in closed, private bath and additional vanity area. With the cold weather blowing in, you can enjoy the cozy electric fireplace without worrying about shoveling the winter snow (or mowing the lawn in the hot summer heat). The lower level offers so much more possibility, for expanded living, hobby space or storage. This location is SE Polk schools and offers a tax abatement.